I tore these apart and redid them. 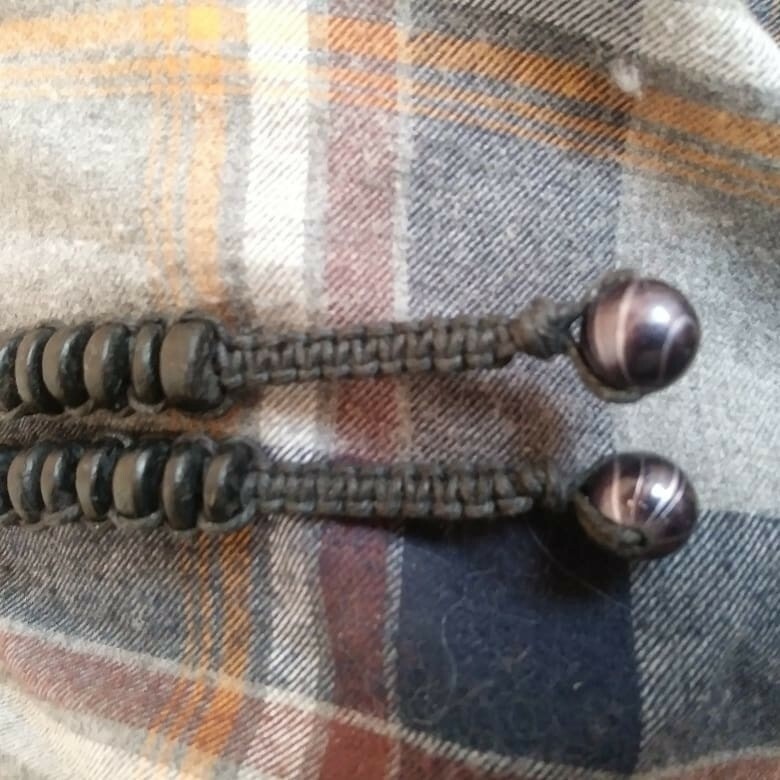 I made them a bit bigger and gave them a cool new bead for the clasp. Black hemp cord, black coconut discs, acrylic black bead with gold marbleing. Love the knotting style! Imaging this is very comfortable on the wrist as well. This is so cool! The hemp makes such nice textures the way you knotted it. Your knotting is so cool! I love your choice of disc beads and the bead for the clasp. I’ve never done hemp knotting or macrame but would love to learn someday. Great bracelet. Thanks guys! I love knotting, it’s so relaxing. Very cool, love the knotting! I do the same thing with pieces I made, I redo them, give them a face lift. Ditto to all of the above comments. Great design and I love the color. 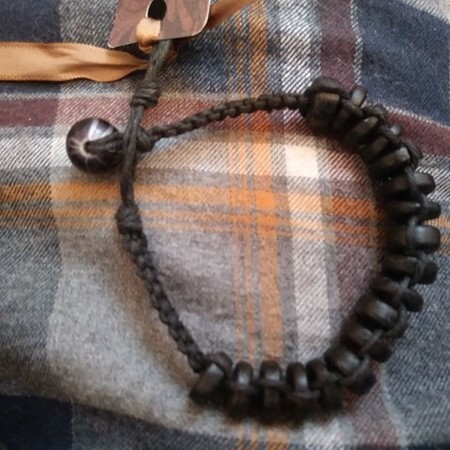 Great bracelet-when I knot, I have to watch a tutorial 1000 times and it still looks like__________. you did an awesome job! You should do a you tube video and teach us! I like the contrast of the discs and the clasp! Great to wear with a flannel shirt in the fall!